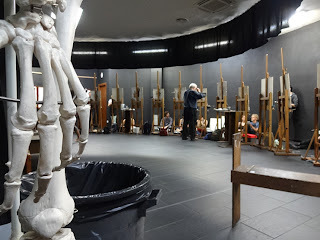 I've been accepted into Angel Academy of Art - one of four finest schools in Florence training artists for the Renaissance in classical realism. I arrived just one day before the Spring semester began, and it's been nearly two weeks already. I spent a great deal of time settling in because of issues like my permit to stay in Italy and other nitty-gritty. The bureaucracy in Italy as some of the locals have put it is quite something! Well, I'm looking forward to my sharpening of skills in this Academy so stay tuned for updates!